The Swan River Pedestrian Bridge Project is a high profile piece of public infrastructure that will be a landmark example of design excellence and link the new Perth Stadium and Sports Precinct across the famous Swan River to the city centre. 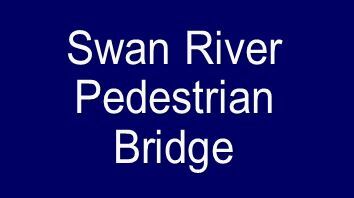 The pedestrian bridge will span over 370 metres and is estimated to carry 14,000 people on major event days across the Swan River. The bridge is expected to be open early 2017 for the community.